A couple months ago when I finally got myself a smartphone, my birding tech guest bloggers, Jim Lyons and Scott Tuthill, jokingly suggested that we should get together and have an "App-Off" to see which apps perform the best. Why not? !, I thought...and thought...and thought. Popular birding magazines regularly do group evaluations of binoculars and spotting scopes, why not birding apps too?! 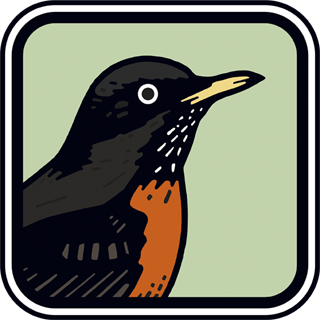 So, I pulled together a group of Utah birding app users who volunteered their time. Most of the birding field guide app developers also provided review copies of their apps to the participants if they didn't already have them. My study of these birding field guide apps has a few facets. First, I had the participants take a survey on the importance of certain birding app features. Second, we conducted timed tests on random birding facts to see how quickly and easily they could be found within the app and to make sure participants opinions were well informed for part three. Third, survey on how well the apps performed and user opinions on the app. The next phase will be inviting the birding public at large to participate in the survey portions. Click here to take the surveys! See the results of our study group in graphs and charts. The post was too big to have as a regular post, so I created a stand-alone page to display everything. Earlier this morning, there were some errors in displaying the graphs and charts, so hopefully that is repaired now! Tomorrow, Part Two will be the results of our timed tests. Special thanks to Jessica Stokes, Paul Barrus, Shyloh Robinson, Eric Peterson, Susan Gray, and David Walton for being a part of this review team.